Is Cucumber the Smell of Getting Old? 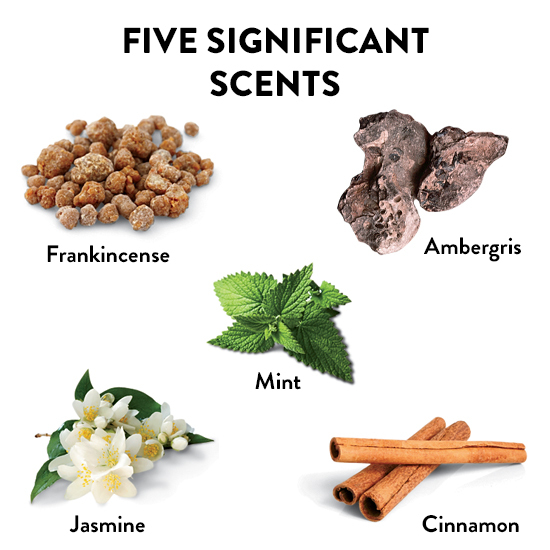 A study links certain scents with various stages of life. Researchers had a sample of nearly 400 test subjects smell lemon, vanilla, lily of the valley, clove, candy, cucumber and roasted peanut and answer a questionnaire about their associations. Apparently six of those scents were “significantly assigned” with a stage of a person’s life. Vanilla and candy were most closely associated with infants and children. Floral as well as spicier scents were reminiscent of middle age, and cucumber and roasted peanuts were associated with the older set. Apparently teenagers are the only group without a specific scent correlation (though, some film strips they showed us in fifth grade health class say otherwise). According to Food Navigator, the researchers also had some interesting ideas as to why those scents had certain, age-related appeal. For example, breast milk has notes of vanilla which may be why it conjures up natal associations. Flowers are linked to fertility, hence their prime-adulthood connotations. And, yes they go as far to say that old people are wrinkly like peanuts which might explain that connection. Alternatively, ageism may also play a role in scent bias, with people associating smells they don’t like with elderly folks. What the study isn’t able to determine is causation. Do people associate sweeter scents with children because children eat more candy and sugary cereals, or do children eat more candy and sugary cereals because that scent appeals to that age group? However, the researchers think their work has interesting implications for product development. As the Baby Boomers and subsequent generations age, live longer and maintain significant buying power, it may behoove savvy companies to target certain scents to certain consumers. The study also acknowledges that reinforcement plays a large role in positive perceptions. But if this information does affect how we market and target new products, perhaps you’ll see cucumber-flavored Ensure to appeal to your aging tastebuds. Or maybe vanilla Ben-Gay to make you feel younger again.